Consider not limiting partial posts on RSS. People tend to read their RSS from smart phones and RSS readers. Ringo Flinthammer of Flinthammer Hall. Kallixta of Kallixta’s Notes was the suggester of an old favourite, causing an eruption of weapon appeal analysis. I was comparing a new upgrade to my older item when it struck me how much I liked my old item. Like is wonderfully subjective and I hope others will explain their measure. Is your favorite weapon something with strong memories for you? Is it something that just works well for RP purposes? Or maybe the balance of abilities meshes better than normal to your spec and play style? 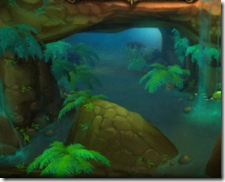 – (RP) Nairu’s Journal LINK – (Druid) The Dreamy Druid LINK – (RP) The WOW Debutante LINK We encourage everyone to also check out the TNB Wiki Big List of Blogs. We are always looking for more intros/outros. Either call our voicemail at 407-705-3161 or email us the audio file to info@twistednether.net . MORE MORE MORE. Make sure you pimp your blog, podcast, twitter account or even your guild!